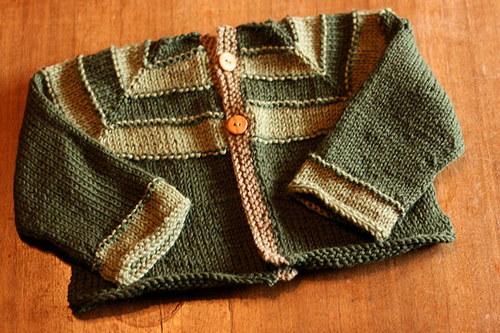 my friend sarah’s handspun beau with many more adorable pictures if you click over. i especially love the title. tee hee. 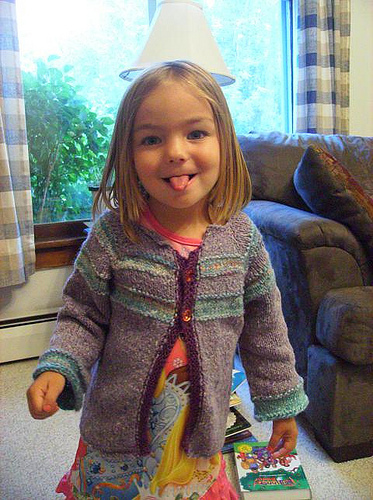 lisa test knit the 12 mo. size. you can check out her project here. i like how subtle it is, but the 3 colors and buttons still make it playful. and here’s joya’s variation. wild! and also very cutely worn by a little one if you click over. 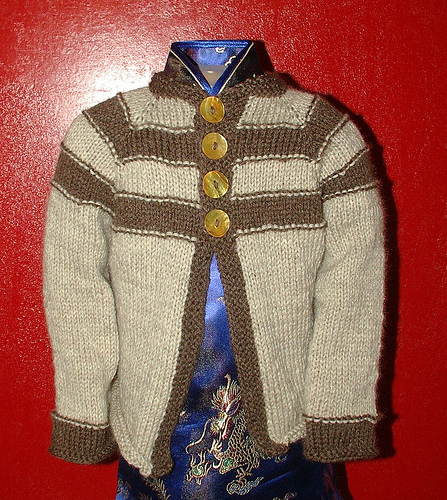 and wendy finished hers to specs, as seen on ravelry, and then decided she wanted a collar and 4 buttons. 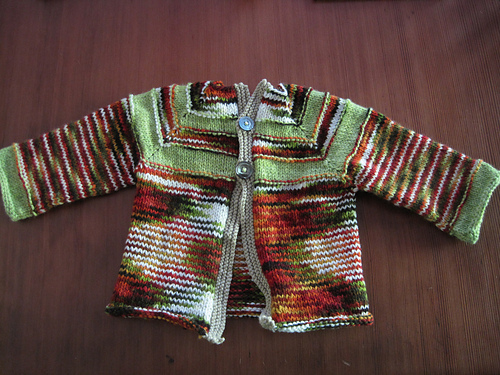 and not a test knitter – but i really love this one that was recently finished on ravelry. the collar is adorable.